The Philippines, being a Catholic country, observes Christmas as the most awaited, biggest and celebrated holiday among others. Whether you are a kid or an adult, the idea of the Yuletide season is sure to put a smile on your face. Here is a top list on how to make the most out of it. 6. Put that Christmas tree up already! If you haven’t put up yours by this time, then it’s time to get up and assemble that tree already. I remember during my childhood years that I am so excited for the “ber” months. Come September, my mom would already start putting christmas decorations all around the house. From the lights to the lanterns or what is locally called as “parol”, little angels, Santa Clauses and socks hung here and there. For my part, I would help in putting up the tree and hang the little cutesy decors in it. And of course, a christmas tree is not a christmas tree without the golden yellow star on top of it. This symbolizes the Star of Bethlehem which led the Three Wise Men the way to infant Jesus. Misa de Gallo is a translation of rooster’s mass because it is said during four o’clock in the morning before the farmers go to their fields. This tradition has been around for centuries already and still popular up to date. It is observed on a nine-consecutive night duration starting from December 16 to the eve of Christmas, December 24. It is a well-known belief that a devotee who completed all nine nights will be granted one wish or request that was part of his novena. Ahhh the eve of celebration! Relatives come home, families and loved ones gather, this night is the peak of Christmas itself. People stay up late to attend the last Misa de Gallo together with their loved ones, children do the usual custom of “pagmamano” to their grandparents and collect their Aguinaldo (cash gift). Also, exchanging of gifts usually happens at this time in the Filipino culture. Unlike in western countries, they open their gifts when they wake up in the morning of the 25th. Here in the Philippines, right after the Noche Buena, people would start distributing their presents during midnight. Everybody is sure to sleep with smiles on their faces. Erase and forget everything I have just said, there can not be a better Christmas than one spent with your family and loved ones, the pinoy style with lavish food, fun games and gift-giving. Best of all, Spending your hard-earned money on a lasting home investment for your loved ones. Of course, who would want to spend their Christmas evening alone? This season, Stateland, Inc. invites you to celebrate Christmas in your new home. Because the company aims in serving the housing needs of the country, as our christmas gift to you and a way of expressing our gratitude, we want you to enjoy a fiesta celebration for every sales reservation in selected Stateland housing projects. Gift certificates from the largest filipino buffet, La Fiesta, will be given to you. Take your pick from Washington Place, Chester Place, Villa San Lorenzo, Gran Seville and Gran Avila. So many choices to choose from! There’s no reason not to come home to your family this yuletide season. Be home for Christmas now and let the merriment begin! For many people, Metropolis is the place to live. Being the seat of power and center of commerce, business, industry and education, Metropolis is arguably one of the best place for us to build our lives. This is the reason why families from different areas in the Philippines, regardless of their backgrounds and financial means, transfer here and make their best to survive the daily grind in the Metro. However, being in the center of everything is not everything at all. Sometimes, there are better things that are yet to be discovered, places that need to be visited and a life that needs to be lived. Though living in the Metro provides you and your family infinite opportunities, taking a leap and risking to live and build a home outside the Metro is quite a challenge for most of us. Instead of tall skyscrapers and neon lights, you’ll get to see a farm pasture and high mountains reaching the clouds. 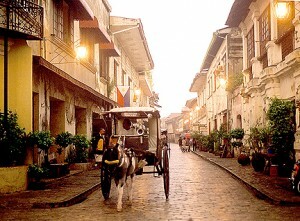 While in the city you get to hear loud music coming from the streets and different establishments, chirping birds and the rustling sound of walis tingtings in the wee hours of the morning dominate your sense of hearing in the rural areas. Although living in the city is full of advantages, a country side living also has its share of benefits for you and your family. For one, country life provides you more privacy and tranquility. City dwelling can be dreadful because places are fully packed with a lot of people you’ll find it hard to actually go on your own. Life in the countryside gives you more freedom to express yourself and travel anywhere without the thought of having many eyes fixed on you. It’s a given fact that because many people flock the cities, it becomes overcrowded which results to little spaces allotted for each person/family. With the lack of open spaces, activities may be limited for them. Country life, though does not guarantee grandeur living, provides more space for the different activities of the family. Backyards and lawns are familiar sights to a country home. They can have their own garden and produce their own foods. Moreover, air in the province is undoubtedly cleaner than the city because of less factories and vehicles. Realizing the beauty of countryside living, this is where Stateland, Inc. comes into place. Having mastered the rudiments of real estate in the country, Stateland products are known to be hinged on high quality standards. These can be seen through their community developments, mostly seen in Southern Luzon. 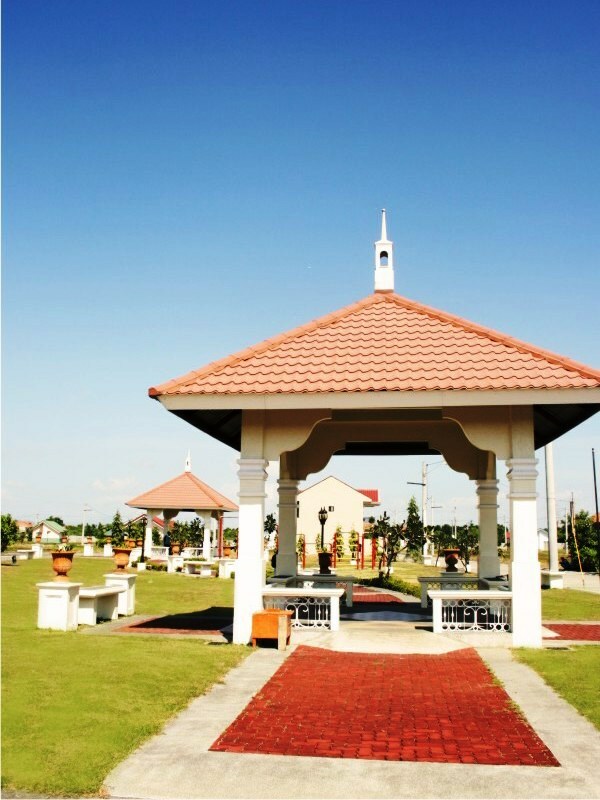 In the tranquil and emerging city of Cabuyao in Laguna lies the 20-hectare property called the Gran Seville. 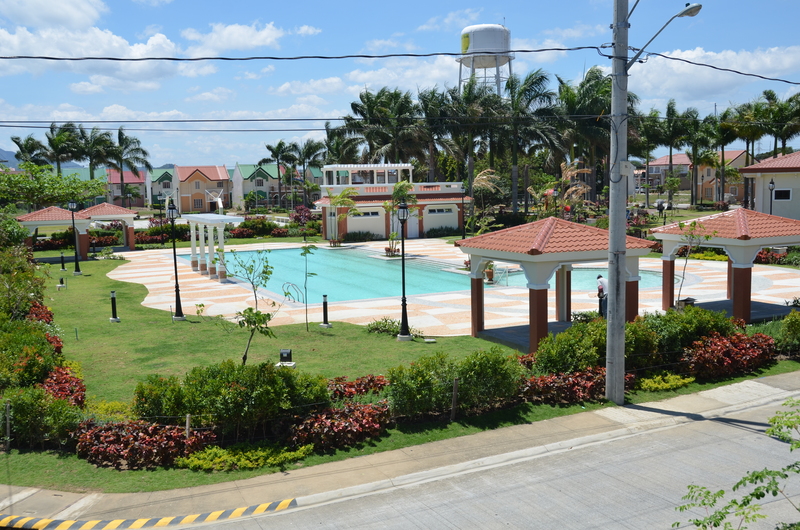 Its 19-meter wide frontage along the National Highway in Cabuyao makes this private subdivision one of the most desirable communities in the locality. 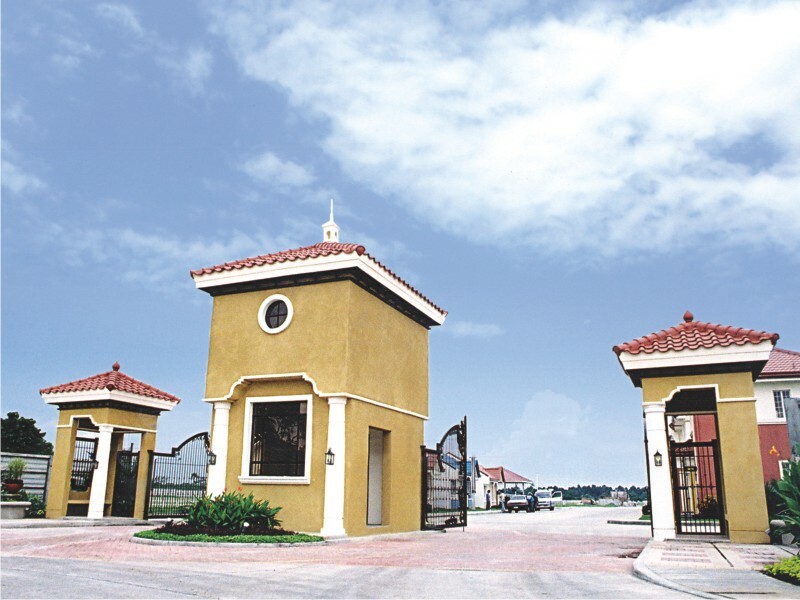 Launched last 2005, Gran Seville is a self-contained, Spanish-inspired community with prime lots by the entrance of the subdivision available for commercial use. House models vary depending on the needs and wants of the residents. It has five house models, ranging from 39-82 sq. m. of floor area with a variety of color schemes, specifically designed to suit the lifestyle of each family. 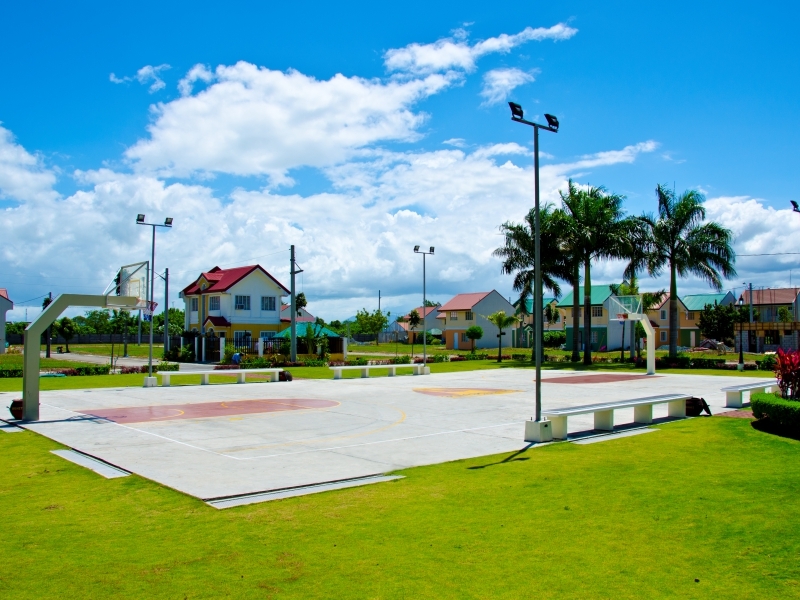 The community also features amenities for the comfort and enjoyment of the residents. 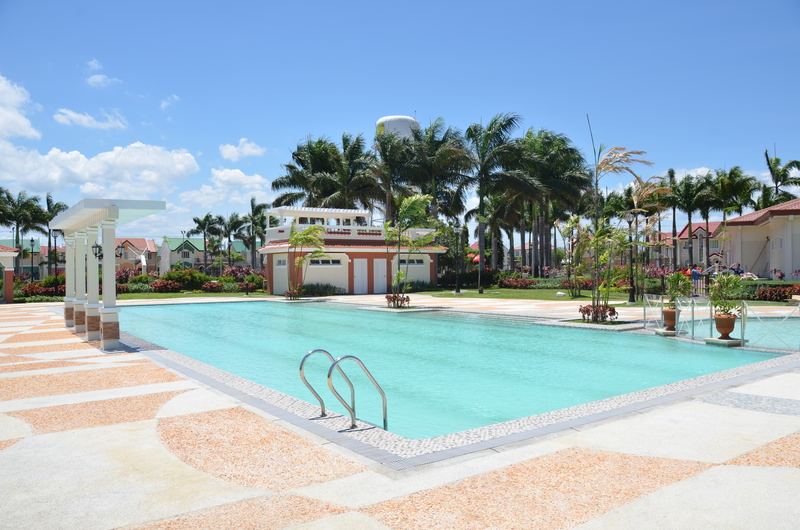 Multipurpose clubhouse, swimming pool with shower rooms and cabanas, basketball court with pole-mounted lighting and landscaped children’s playground are built to ensure that residents can fully enjoy their stay at Gran Seville. Open spaces are also abundant on this subdivision as there are mini parks with gazebo and landscaped main open space with concrete benches, lamp posts, and bell tower. Security perimeter fence also surrounds the property. Need some time to think and wander your mind? This patio will give you a more relaxed mind. 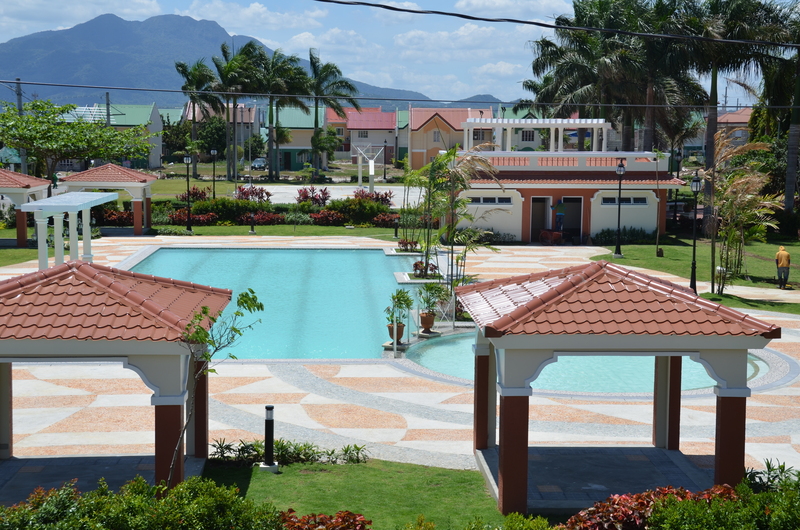 Beyond the lively hues, fine details and picturesque atmosphere brought about by this grand Spanish-inspired community, residents can also enjoy the Mount Makiling scenery on top of the swimming pool cabana. The refreshing air and calm atmosphere are also prevalent in this community. Though located in the countryside, life Gran Seville is still a stone’s throw away from the hustle and bustle of the city. It is conveniently accessible to major roads, highways and establishments. Schools, churches, shopping malls and even leisure areas like the Sta. 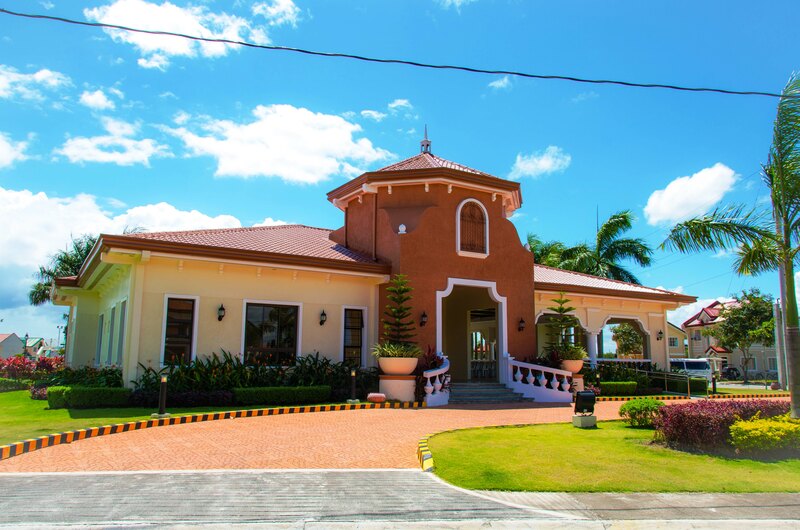 Elena Golf Club and historic places like the House of Jose Rizal in Calamba are all within reach. Living a busy and grandeur lifestyle in the Metropolis is not bad. In fact, it brings you a lot of opportunities and opens doors for everyone else. But unlike living in the city, countryside living is more serene, more laid-back, more peaceful. If you are looking for a place to settle permanently after years of working hard, then there is no better option than to settle in a place that will bring you back to the early days of your childhood. Gran Seville brings you back that nostalgic feeling of being young again, while spending quality leisure time with your loved ones and friends. See that overlooking view of Mount Makiling? 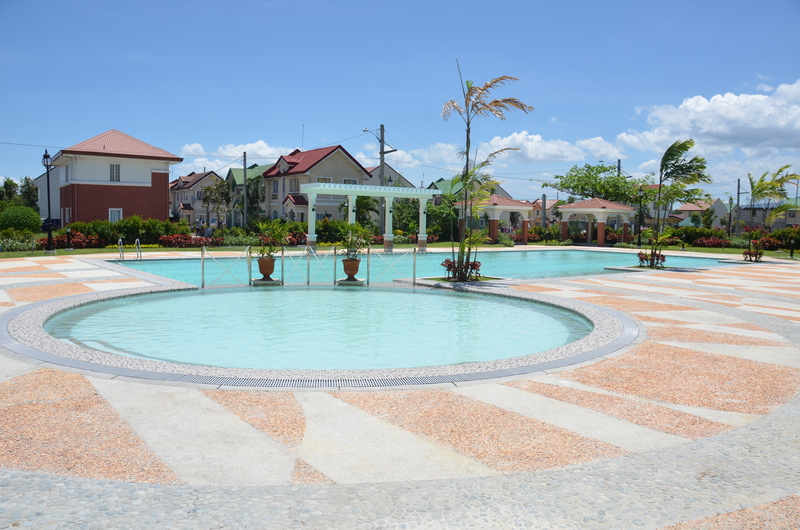 How about the newly-constructed swimming pool and cabanas? June is not only the time of the year when we send back our kids to school, neither is also the time when grooms and brides flock the church altars. 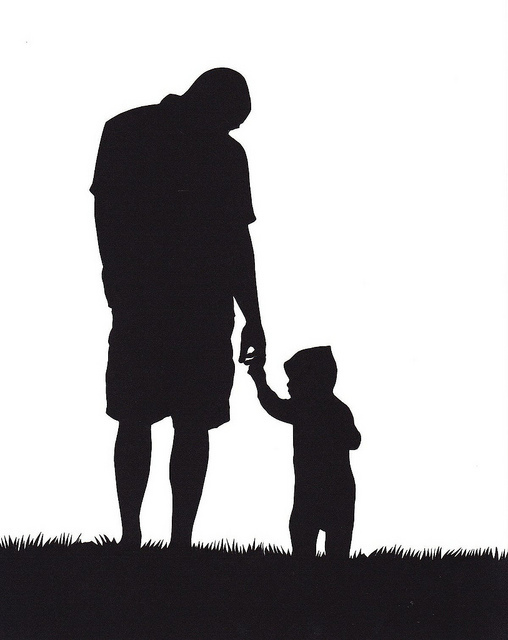 June, as much as we know, is also the month of our hardworking dads. Every third week of the month, we give our thanks and appreciation for that one person who always treats us like a princess, and played video games with us till the break of dawn. At home, when our mom forbids us to do something, we immediately sought the help of our dad. Why not? He can spoil us—he can and will give us anything we need, bring us wherever we wanted to be. However, while spoiling us, he’s also giving us some valuable life lessons. He might give you an additional allowance for your school, but with an additional preach on why you need to save your school allowances so you will learn to value your finances at this early stage of your life. You’ll find all your father’s mini dialogues and preaches when you grow up, when you realize that his every word means so much to what you’re actually experiencing right now. For the girls, her dad is her first love. He’s the kind of guy every girl would look for in search of her true love. He’s the living example of what her future husband would look like. He’s the one who first cradled us, hugged us and will tell us that everything is going to be just fine when you find yourself in a complete chaos and frustration. He’s there for us, loving us and protecting us, at all cost. For the guys, their dad is their best friend. They can share everything, from their interests, hobbies and even to their secrets. Their dad is the living example of how they should be when they become a man. He sees himself as a man of duties, and a man who will do anything for his family, just like what he sees on his dad. If you think you are having a hard time in your school, office or even in your personal lives, that is nothing compared to the hard works and sacrifices our dad has done just for him to give his family a comfortable life. 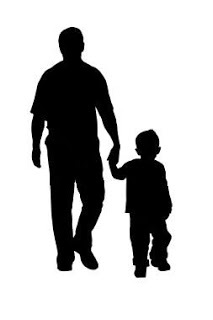 It doesn’t matter whether your dad is a businessman, office worker, professional worker, doctor, lawyer, teacher, vendor, sweeper, driver— what matters most is that he’s the one who took care of us from the moment we were born up until today. His simple life reminders are of great importance, so we must never neglect those. As he ages with another year, let us all remind ourselves to give back the love and affection he showered to us. For our father is our one great true love, and nothing in this world can ever change that fact. Tay, Ama, Papa, Daddy, Dad…. 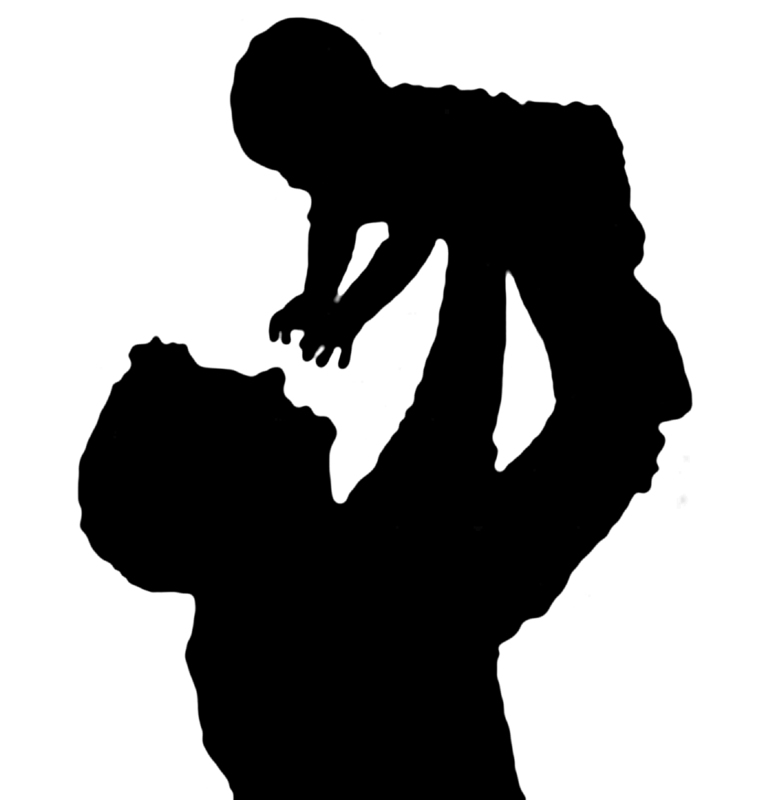 This is your day, Happy Father’s Day! You couldn’t help yourself but to be beamed. And to protect me always from every harm. I saw you since my birth, as I was lying in my crib. You’ve been always there for me when I need someone to cling on. In my ambition, you’re my inspiration. In my weakness, your kind words are my strength. Your love is enduring and it’s never ending. A wonderful gift God has blessed me, my Father who loves me completely. A “daddy’s girl/boy” to you. 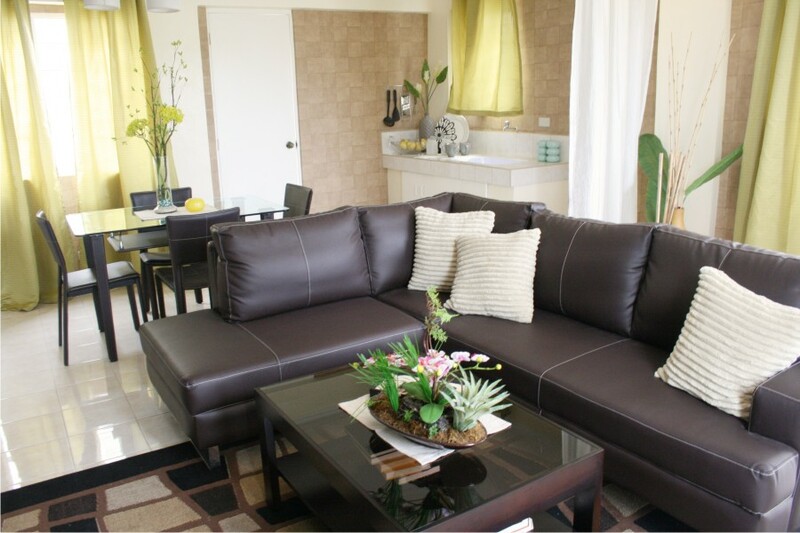 MANILA, Philippines – As every Filipino aspires to have a quality residence in decent and well-planned communities, property developer Stateland Inc. is all set to launch more projects in Batangas, Cavite and Laguna. 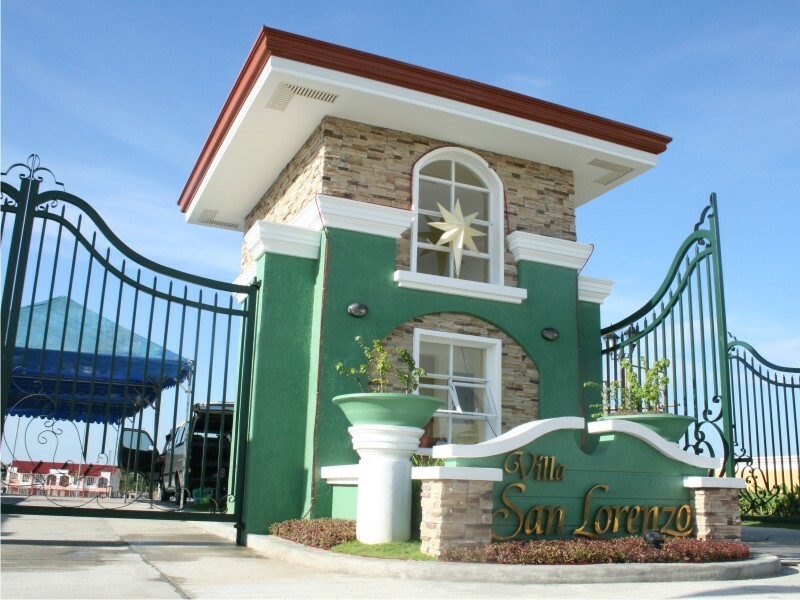 Its latest project, Gran Avila, was launched in Calamba, Laguna last March for the economic housing segment while its adjacent subdivision, Casa Laguerta, caters to the socialized housing segment. The firm said both projects offer affordable homes and carry with them the company’s hallmarks of quality and durability. According to Stateland, it conducts pre-engineering studies to ensure the quality of land development. These include comprehensive soil investigation, the process of determining the soil bearing capacity to properly design the roads and houses and ensure its structural integrity. A flood study is also operated to determine the finish elevation of the subdivision including road network, retaining walls and drainage system. “Flooding is a major concern for many homeowners and the property developer wants to assure its future residents that its proper planning mitigates such occurrences from affecting its development,” the company explained. Another technical requirement which is an integral part of its planning stage is the go-resistivity study which defines the optimum location of the water source within the project site. “We want our residents to build their future in good communities. These are made possible through proper planning so we don’t shortcuts when we develop our projects,” said Grant Orbeta, senior vice president for planning and production. With its almost four decades of service, Stateland ensures that site and land development works are similarly well-executed by making sure its road construction is well-developed. It has undertaken international accepted standards such as the preparation of compacted layers of base course on which the reinforced on concreter roads are poured. Field density tests, measuring both the percentage of compaction of the backfill material and its moisture content are frequently conducted. “Stateland’s land development unit makes sure that the soil’s compaction ratio is at the right level before any road is concreted. This guarantees that the soil is strong enough to support the road and vehicular traffic as well as avoid cracks and ruptures on the subdivision’s streets,” the company said. The company further considered a durable perimeter when building a well-constructed subdivision stating that it helps prevent trespassers from entering the subdivision and retaining wall along the perimeter of the property provides extra supports to the soil which prevents erosion of perimeter lots. Meanwhile, Jerome Ilagan, head of the architectural department, pointed out that meticulous design, planning and specifications are keys to Stateland’s success. “Oftentimes, we even go beyond minimum project requirements when we specify materials. Everything is done with careful attention to detail to ensure that we provide optimum value to our clients,” Ilagan added. 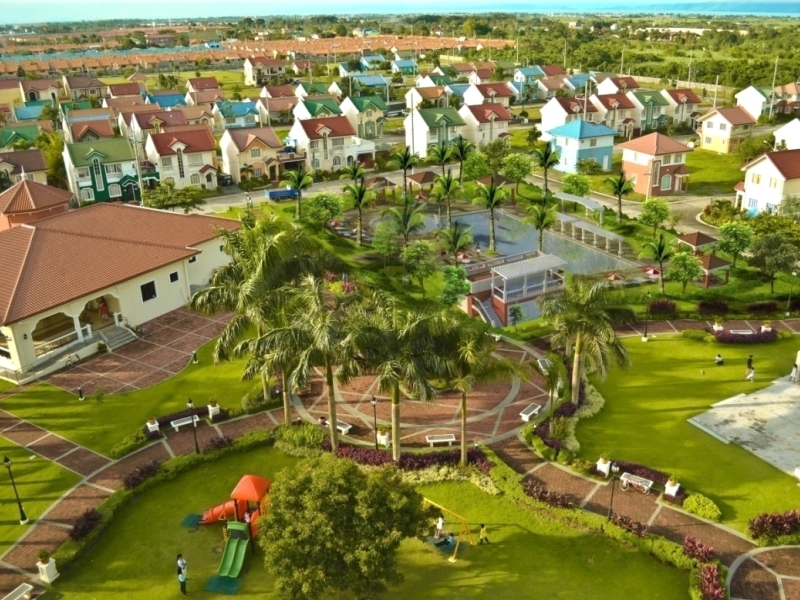 Stateland, a 37-year old property developer with 30 completed projects in its portfolio, launched its newest economic project in Laguna, the Gran Avila. With the recent launching, Stateland hereby addresses the need for more residential projects in Southern Luzon. (1) You remember dreading on that last chapter of the book your professor instructed you to read; You were so tired that you cannot open your eyes and just wishes to lie in your bed even just for an hour, no, just make it a couple of minutes before you start that piling paper works on your desk. (2) You have a deadline in your office and you’ve been rendering overtime since last week; you have no social life and you’re sleep-deprived. You’ve been wishing for an official holiday just for you to have an ample amount of rest. (3) You’ve been working hard, all day and all night. You make breakfast for your family, you do the shopping and groceries, you do the laundry and iron clothes, you pick your kids to school, help them with their homework, cook dinner and do the dishes again, rest for the night and then back to the same routine tomorrow. Having these mundane tasks over and over again will surely make you weary and tired. But hey! Once in a while, you need to take a break, or else you might be burned out. These tasks are inevitable, and you have no choice but to do it over and over again. As daunting as they may seem, they are already a part of our everyday life. However, we have good news for you! You can all put aside all the things you’ve been doing because it’s time for you to laid back and rest. And oh, did we just say that it’s already summer? And what’s the best thing to do than to have the best summer vacation ever! Whether you’ll do it with your family, friends, loved ones, or you prefer going solo, you have to embrace yourself and do wonderful things this summer! Here are some of the things and ideas that you might enjoy doing this summer. Go and take a dip in a pool or better yet, in a beach! What’s summer without a splash in a water? Get yourself hydrated and tanned at the same time by dipping yourself in a pool or in a beach! Drag along your family or barkada and have a wonderful time together. Go to places that you’ve never been! Appreciate the beauty of our county by doing nature-tripping. What a fun way to spend summer! When you are a teenager at school, a yuppie in the office or a mom at home, you can always improve those hidden talents, especially now that summer has arrived. You can enroll in an acting workshop, combined with singing and dancing. Or you can enroll in a music school, if you are so much into music. Moms and ladies could try to be a better chef by enrolling to a culinary school. Working professionals could do yoga classes to relieve their stress and tensions in their offices. There are many things that you can do and learn within the two-month summer vacation. You just have to manage your time well and make sure that you also enjoy what you’re doing. 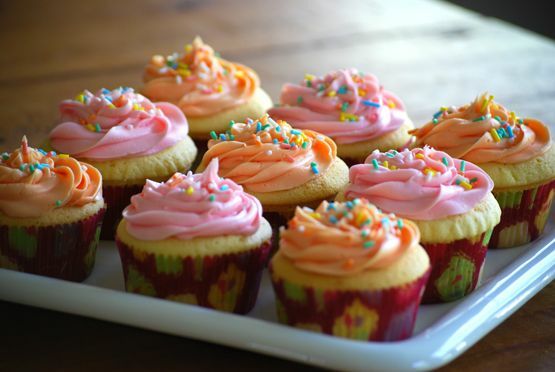 Learn to bake this yummy cupcakes and delight your family, friends, classmates or office mates with your delectable treat! Yum yum! Summer is the time to always hit the road and go somewhere else. After all, you can’t do travelling more often when rainy season comes. Summer is the perfect time to pack your things and wander in different places. Travelling allows you to see the world while being yourself. It allows you to grow more, learn the culture and traditions of different places and discover more about yourself. Summer is here not for you to be a couch potato, but it’s here for you to enjoy and make the most out of it. So it’s time for you to pack your bags, put on your favorite clothes, wear your sunnies and enjoy the heat of the sun. 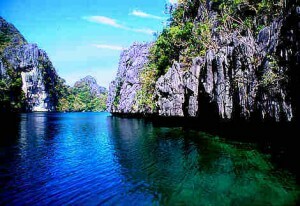 Discover new places and be amazed by the natural beauty of our country. Summer is best spent if it’s worth the cause. If you like to deviate from the usual outings, why not spend summer doing charity and volunteer works? Organize a feeding and medical program in your nearby area, or sign up for a tree planting activity. Or you can just simply make kids and adult smile by visiting them in welfare institutions and read them books and do gardening with them. You need not to spend a lot or go to very far places just to make a memorable summer. You can always share your time, knowledge and humor to those who are greatly in need of care and affection. Do something worthy and something to be proud of this summer! Share your talent and time to those who are in need. We have been all busy, yes, we know that. The grueling tasks in the office and the demanding paper works we had at school lessen the time we can spend with our families. We are working every day, sometimes, even on Sundays. But it shouldn’t always stay that way. We should also learn to manage our time, relax and unwind with our family. They have been supportive of our endeavors and we might not be able to reach where we are right now and what we have if not because of their encouragement to us. Let’s treat our parents, sisters, brothers, grandpas and grandma’s, niece and nephew a relaxing vacation somewhere else. If our budget limits us, then we can just opt to have a comforting staycation in our place. Have movie every night, eat popcorns or chips dipped in salsa sauce, make pizza or bake some cupcakes, eat halo-halo and lay all night in the make shift bed in your living room. How cool is that! 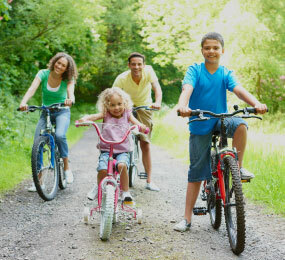 You can also be more physical by engaging in sports, or biking in your subdivision. You have plenty of options to choose from, as long as the whole family can enjoy, it’s not a problem whether or not you went outside Manila. The past months saw you worked hard. You’ve been enduring a lot of hardships and you have sacrificed a lot, including a quality time for yourself. When was the last time you had a haircut? Do you still have time for a relaxing manicure and pedicure? Do you still get to hang out with your friends? Have you been to a shopping mall and buy clothes and other essential stuff? Think about this: If you can’t go somewhere else this summer because of your busy schedule in school or work, you can just at least allot a time for yourself. Dine in your favorite restaurant or fast food; shop clothes, bags, shoes and other necessities for yourself and your family; visit famous places within your reach; watch movie in a movie house; go to museums; go to church and other worship places; visit an orphanage; read a book; write a novel. These are some of things you can actually do this summer without spending too much money, and at the same time, allowing yourself to grow. This is also the perfect time for you to reflect and make a better version of yourself. Whatever your plans this summer, make sure that it will bring out the best in you. Have fun and always seek adventures. Summer is an inevitable part of the year, and so with our life. As the Swedish proverb puts it, “A life without love is like a year without summer”, which actually insinuates that life is incomplete without life, much like the year is incomplete without the summer season. So go on, have fun and make this summer the best summer of your life. Indulge into greatness and discover many great things! Peace of mind is a primary consideration when buying a home in a subdivision. Whether the residential community is in the city or in the suburbs; whether it is a mid-cost or an affordable housing project, knowing the way the development was planned is a major factor in deciding on your dream home. 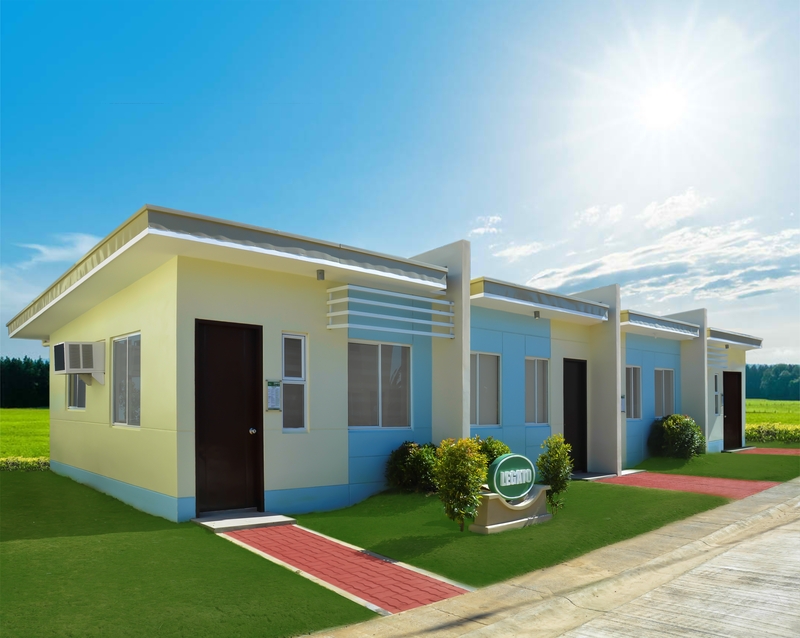 Stateland Inc., with a track record of almost four decades in the housing industry, realizes this necessity and makes it a point to fulfill the lifelong dream of every Filipino family by providing them quality houses in decent and well-planned communities. Bringing up your family in a well-developed, and well-built housing community is integral to how the company develops its projects. The drive to make sure each subdivision and housing component is done properly is more than just marketing hype for Stateland. 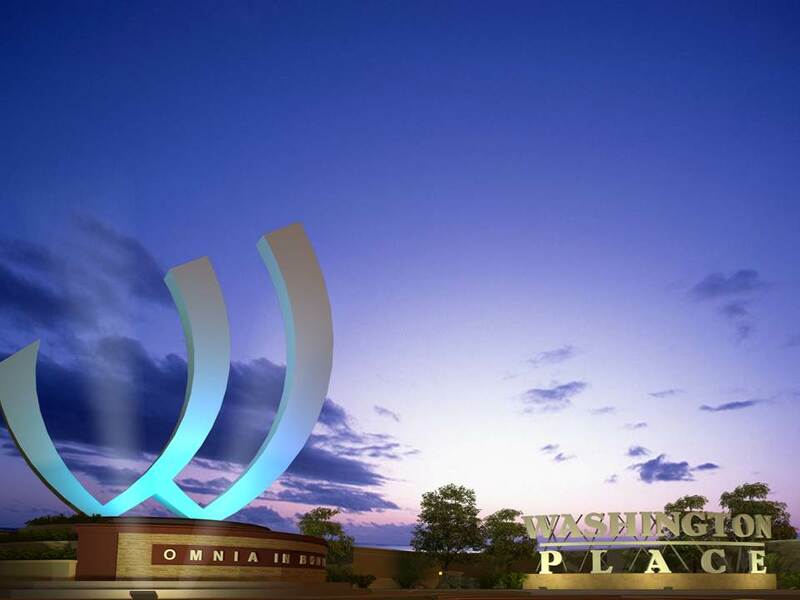 It is a part and parcel of the company’s planning philosophies that have earned it a reputation for quality subdivision development. property developer, Stateland is not only concerned about the physical aesthetic and durability of its houses but the community as a whole. “We want our residents to build their future in good communities. These are made possible through proper planning so we don’t do shortcuts when we develop our projects” said Grant Orbeta, Senior Vice President for Planning and Production. He noted that the procedures done by the developer is a testament to its commitment to deliver only the best products to its clients This philosophy is reflected in the reputation Stateland has made for itself as a developer of durable and well-built communities. With a vision of delivering its commitment to its buyers’ home aspirations, Stateland ensures that site and land development works are well executed. One development aspect that the company takes pride in is its road construction. Internationally accepted standards are put in place such as the preparation of compacted layers of base course on which the reinforced concrete roads are poured. To guarantee the soil’s proper compaction, Field Density Tests (FDT) are regularly conducted. The FDT measures both the percentage of compaction of the backfill material and its moisture content. Stateland’s land development unit makes sure that the soil’s compaction ratio is at the right level before any road is concreted. This guarantees that the soil is strong enough to support the road and vehicular traffic as well as avoid cracks and ruptures on the subdivision’s streets. With years of experience in land development, Stateland’s engineers realize that a well-constructed subdivision should not only have good roads and drainage but also a durable perimeter. Aside from the fact that the perimeter fence helps prevent trespassers from entering the subdivision, the retaining wall along the perimeter of the property also supports the soil and prevents erosion of perimeter lots. Stateland’s land development team paves the way for safe and secure community living, making durability its priority and ensuring that its buyers’ investment does not depreciate from poor implementation. The third philosophy that guides Stateland as a housing developer is probably the most crucial to its clients. 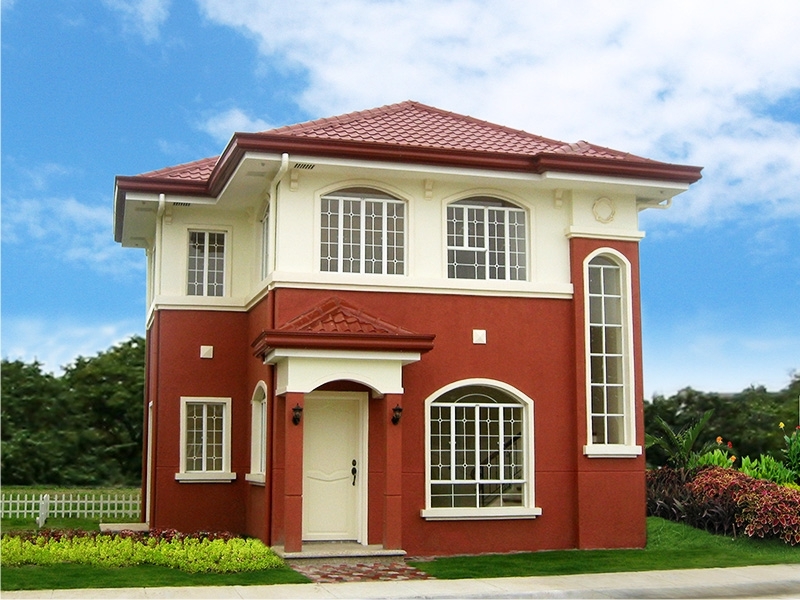 The developer is known for and is proud of the quality of its houses. Arch. Jerome Ilagan, Head of the Architectural department, emphasized that meticulous design, planning and specifications are key to Stateland’s success. Stateland’s planners keep themselves updated on new products and methodologies in design and construction but always put a premium on durability. “Oftentimes, we even go beyond minimum project requirements when we specify materials. Everything is done with careful attention to details to ensure that we provide optimum value to our clients.” Architect Ilagan adds. 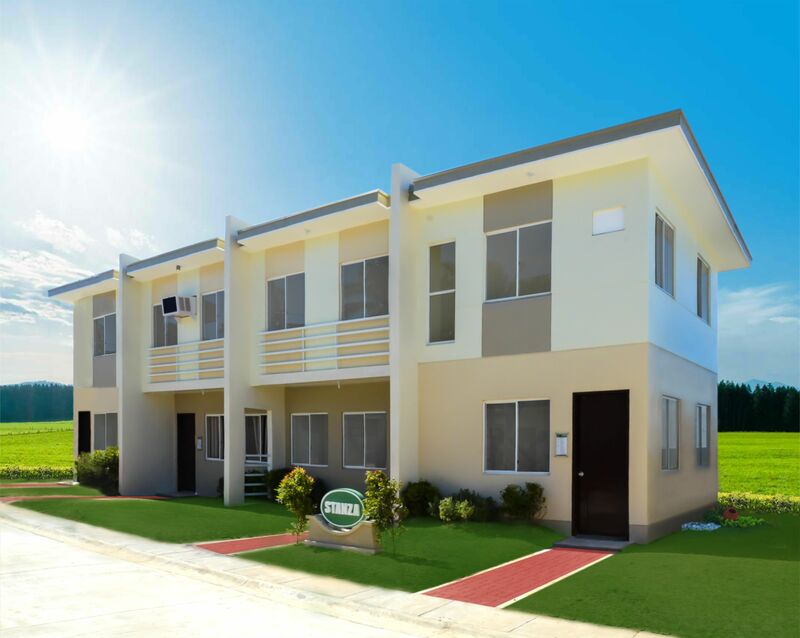 With their proven track record in the industry, Stateland is gearing up to launch more well-built communities in Batangas, Cavite and Laguna. 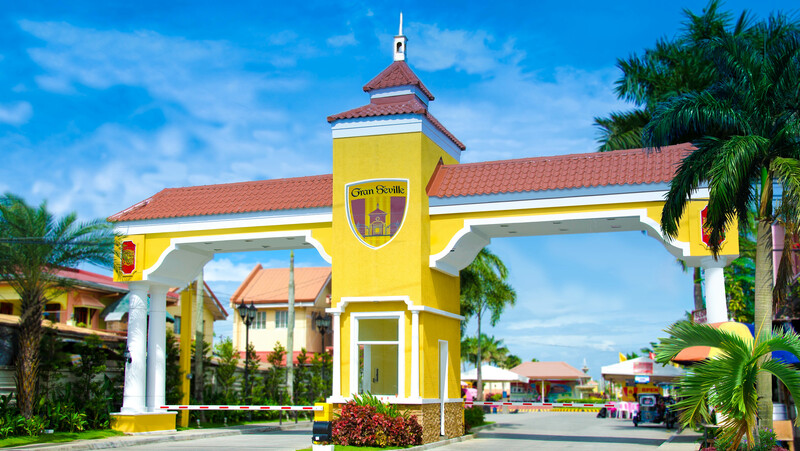 Gran Avila, their latest project in Calamba, was launched last March and serves its economic housing segment while its neighboring subdivision, Casa Laguerta caters to the socialized housing segment. Construction of both projects are in full swing and despite offering affordable homes, the company made sure that they carry with them the company’s hallmarks of quality and durability. Stateland recognizes that a house is not just a roof over one’s head. 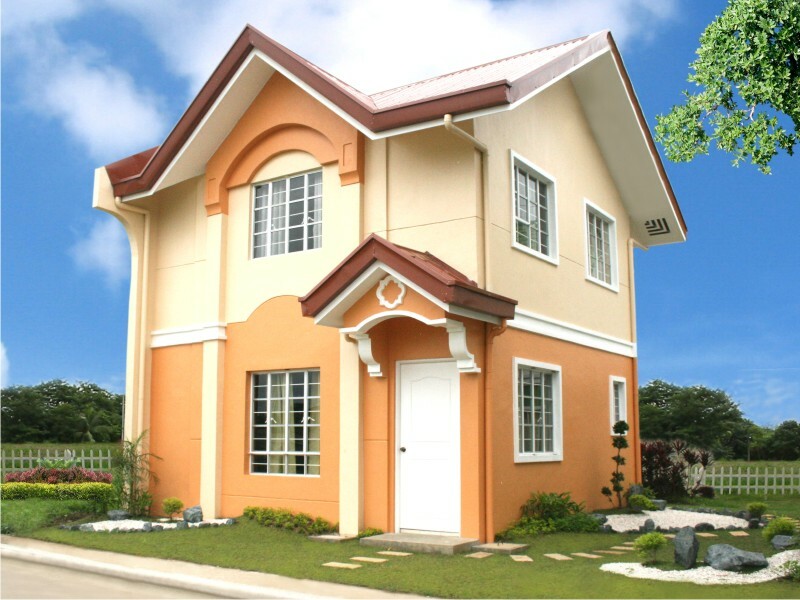 Filipinos want to live in a well-planned community and in a house that is well-built. Stateland understands this underlying need and continuously strives to develop products that live up to the company’s slogan of “Your Dream, Our Commitment”.